This Plantation tour includes Transport on our beautiful trolleys to two (2) plantations, with admission into each of them. Charles City County, strategically located between the James and Chickahominy rivers is home some of Virginia's historic plantations that have survived the Revolutionary War, the War of 1812, and the Civil War. Step back in time with us as we show you the beautiful country side along the way as we visit these wonderful plots of land that are timeless. This tour has a 4-person minimum to book. Walk in the footsteps and homes of 3 U.S. Presidents. Site of the First Thanksgiving in the nation, 1619. Beautiful grounds nestled next to the James River. All starting in 1613! Sherwood Forest Home of the 10th US President John Tyler from 1842-1862, and has been the continuous residence of the Tyler family since he purchased it in 1842. Known to be the longest frame house in America, over 300 feet long. Sherwood Forest Plantation reflects the lifestyle of this mid-19th century Presidential family. Shirley Plantation is Virginia’s first plantation, founded in 1613, and America’s oldest family business. The chronicle of Shirley Plantation best exemplifies the period in our nation’s history between the settlement at Jamestown in 1607 and the movement towards American independence from Great Britain in 1776. After eleven generations and under the leadership of one family, Shirley Plantation has survived Indian uprisings, Bacon’s Rebellion, the American Revolution, the American Civil War, and the Great Depression. Evelynton was originally part of William Byrd’s expansive Westover Plantation. Named for Byrd’s daughter, Evelyn, this site has been home to the Ruffin family since 1847. The family patriarch, Edmund Ruffin, fired the first shot of the Civil War at Fort Sumter. Evelynton was the site of fierce Civil War skirmishes in 1862, when General George McClellan waged his destructive Peninsula Campaign; J.E.B. Stuart, Stonewall Jackson and John Pelham bravely led the Southern offensive in the Battle of Evelynton Heights. 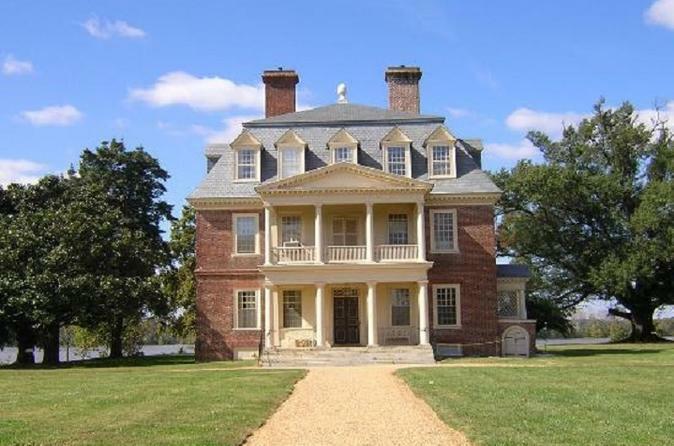 Westover was built circa 1730 by William Byrd II, the founder of Richmond. It is noteworthy for its secret passages, magnificent gardens, and architectural details. The grounds and garden are open 9 a.m. to 6 p.m. daily, but the house is not open to the public. Westover was named for Henry West, fourth Lord Delaware and son of Thomas West, Governor of Virginia. The shady tulip poplars framing the building are more than 150 years old. The house is considered one of the most outstanding example of Georgian architecture in America.